The 41-year-old from Columbus, Ind., led all 40 laps in the non-points event organized and sanctioned by the POWRi Lucas Oil National Midget Series. 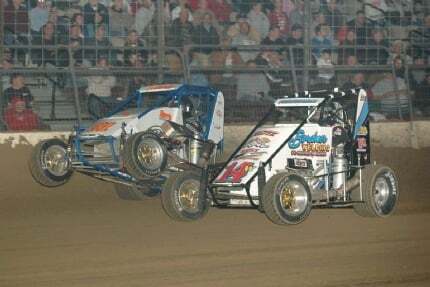 It had 67 entries and brought together many of the best drivers in Midget racing and several more major short-track series. Andrew Felker of Carl Junction, Mo., this season’s POWRi National Midget champion, finished second and POWRi veteran Tim Siner of Dupo, Ill., was third. 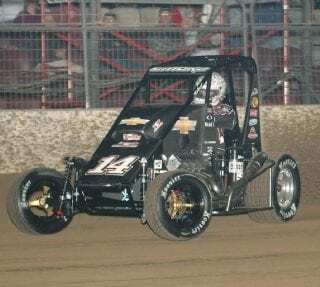 Stewart won USAC Midget championships in 1994 and 1995 and was USAC’s Triple Crown (also taking the national Sprint Car and Silver Crown) champion in 1995 before moving on to win titles in the IZOD IndyCar title in 1997 and NASCAR Sprint Cup in 2002, 2005 and 2011. 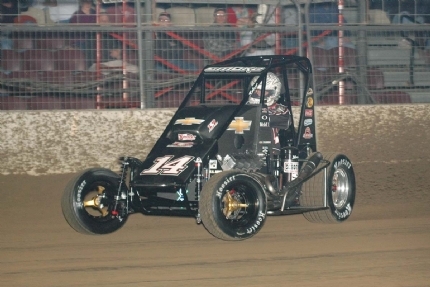 Stewart also won his heat and qualifying races and started on the outside of the front row next to Bryan Clauson, the three-time National Midget Driver of the Year and the USAC National champion the past three years. 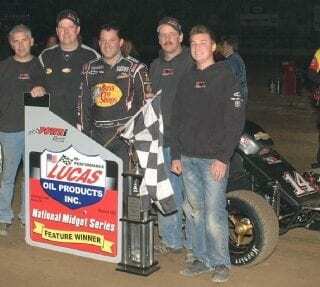 Stewart’s Chevrolet-powered Midget, took the lead at the start and held it against Clauson through seven restarts. Clauson, of Noblesville, Ind., ran second until contact from behind by Brad Loyet of Sunset Hills, Mo., on a 34th lap restart spun him in Turn Two. 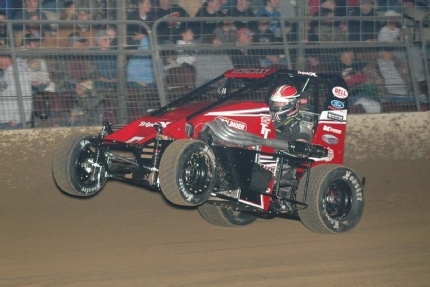 “I tried to beat Tony to the center of the track and got over the cushion,” Clauson said. 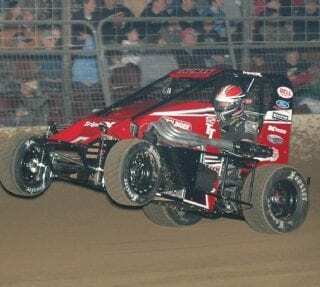 Loyet, a three-time champion in POWRi National Midgets who raced in the national Lucas Oil American Sprint Car Series this season, had been charging hard from his seventh starting position and tried to take advantage of Clauson’s loss of momentum. Felker’s Spike-Fontana passed Loyet for second in the ensuing restart. He had started 11th. Stewart faced one final restart with four to go in the 40-lap feature and darted away from Felker to win by three car lengths. Siner wasn’t far behind. He’d started 20th in the 21-car field and ran the inside line. “I actually thought I had a chance to win going down the back straight,” Siner said. “I pretty much ran the bottom the entire race. The car responded to the changes I made, mostly the shocks, and I had a radius rod fall off on the right rear suspension that helped us get traction out of the corners. It allowed our car (Spike-Esslinger) to roll a little better and helped it turn. POWRi Lucas Oil National Midget Series feature results for the Battle at the Center (40 laps): 1. 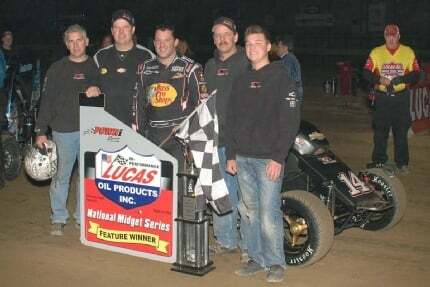 Tony Stewart, 2. Andrew Felker, 3. Tim Siner, 4. Dereck King, 5. Jon Stanbrough, 6. Casey Shuman, 7. AJ Hopkins, 8. 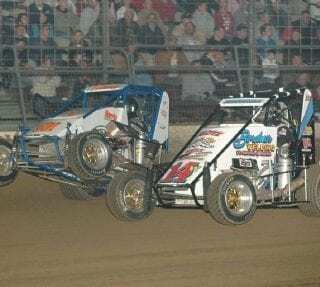 Bryan Clauson, 9. Alex Sewell, 10. Brad Loyet, 11. Brian Shirley, 12. Garrett Aitken, 13. Chris Bell, 14. Colten Cottle, 15. Jayme Barnes, 16. Matt Westfall, 17. Tyler Thomas, 18. Levi Jones, 19. Austin Brown, 20. Ross Rankin, 21. Daniel Robinson.